If you’ve heard of pinole (pronounced pih-nol), it’s probably because of the Tarahumara Indians – a near mythical tribe that lives deep in the Copper Canyons of Mexico and who were popularized in the book Born to Run. 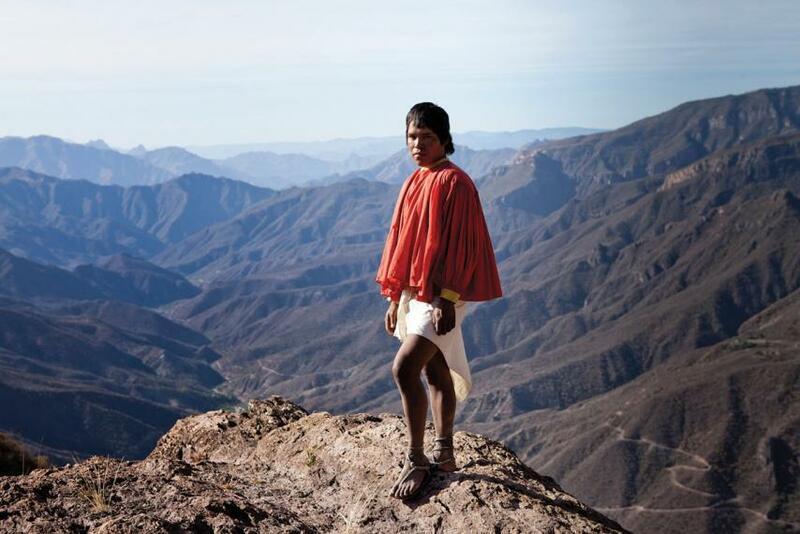 The Tarahumara are considered the world’s greatest endurance athletes because of their ability to run hundreds of miles non-stop – seriously. Plus, they have virtually no incidence of modern day disease. Their fuel of choice? Pinole. Pinole has actually been around since the Aztecs. What makes it unique is that it is not a single grain or berry; it is actually a combination of three ingredients: purple maize, raw cacao and cinnamon. Historically, these foods would be slow roasted together (this is where the deep flavor comes from) and then stone ground. When made as a hot cereal, it’s a little like having a better tasting, heartier cream of wheat. But, you can also throw it in smoothies or even bake with it. Sounds too simple to be the next hottest superfood, right? Well, it turns out that sometimes simple in Mother Nature is a whole lot better for your body than a bunch of guys in a lab coming up with some artificial ingredients (which, coincidentally is the point of Born to Run). Through trial and error or maybe even just luck, it turns out those Aztecs created a near perfect fuel for the body. This is why. Macro-Nutrients: Athletes need a large amount of macronutrients – carbs, proteins, fats – to power their body. Carbs and fats are essential for energy. They are literally your body’s gas. But, if you want 91 octane, they need to come from high-quality sources and in the right proportions. Most trainers agree that somewhere around 60% of an endurance athlete’s diet should come from carbs, 20% from protein, and 20% from healthy fats. Purely Pinole, the highest quality pinole on the market, gets you a whopping 38g of clean carbs, 7g of protein (15g when prepared with milk), and 2.5 g of fat. An average bowl of Quaker oatmeal? That measures in at only 27g of carbs, 5g of protein, and 3g of fat. Better yet, pinole is a slow burning complex carb (meaning you’ll stay full longer) because it is a true whole grain. Your instant oatmeal? To make it instant, the Quaker man had to pulverize the entire grain – nothing “whole” about that. Antioxidants: Athletes put their bodies through a lot. Kind of like an engine, it needs oil to keep things flowing properly and to ensure the engine can hit max revs again and again. That’s where antioxidants come in. Antioxidants protect against the oxidation (basically inflammation) of muscles caused by pushing your body. The purple maize in Purely Pinole is purple for a reason – it actually has 3x as much antioxidants as blueberries! Fiber: Doesn’t sound cool, but fiber is critical to your body being able to digest and absorb all the nutrients. Because your body does not actually absorb fiber, it helps you feel fuller and regulates your blood sugar level, which ensures a steady release of energy into your bloodstream while minimizing crashes. Purely Pinole posts 7g of fiber (28% of your daily requirement) compared to oatmeal’s 4g. And, did you think cinnamon was there just for flavor? New studies show that cinnamon acts as a booster, causing fat cells to burn though a process called thermogenesis. So, the next time you’re feeling the oatmeal blues, maybe try a pinole bowl instead. You can eat it by itself (not sure I’d try that with oatmeal!) or mix it up with berries and granola. Can’t guarantee that you’re going to run 100 miles afterwards, but at least your body will thank you.